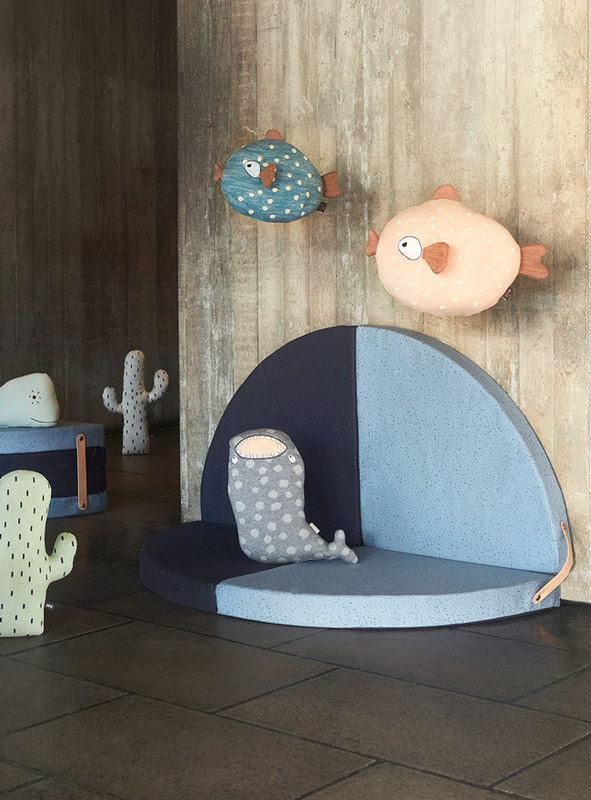 Ambiente Blog • Lots of space for kids to play. Children need space and the chance to exercise their creativity freely. However, that doesn’t mean your entire home needs to look like a children’s birthday party has just hit it. 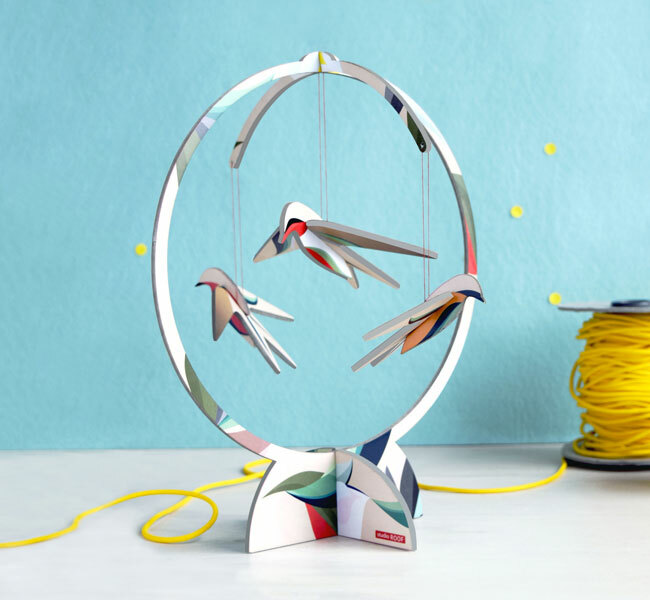 There’s a middle way which isn’t hard to achieve: we look at clever, playful and even entertaining furniture and accessories to stimulate play, free the imagination, help tidy up – and decorate rooms. Modern architecture has been helping us with this for some time. Well-known international studios like Bjarke Ingels Group have designed child-centred day care centres, schools and nurseries to the highest standards. 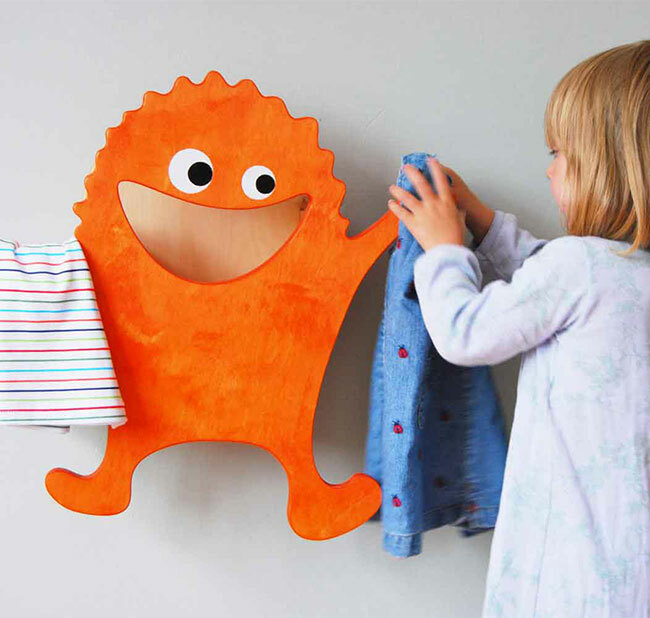 Children relate to objects in a direct way. When they love something, they’ll value and look after it. A smoke alarm that looks like a monkey will protect them without being frightening. A bulldog doorstop won’t be kicked around, but handled with care. 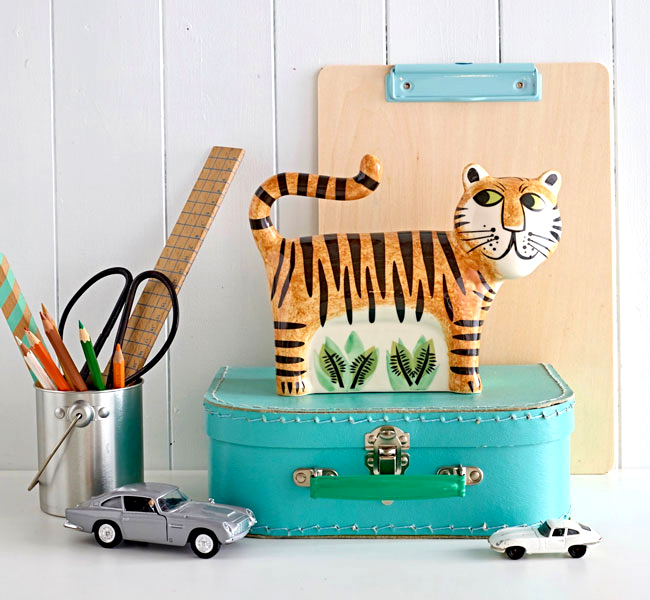 An elephant-shaped table lamp is ideal for keeping kids company while they do homework, and this tiger money box will surely be treasured. Besides, most kids love decorating. 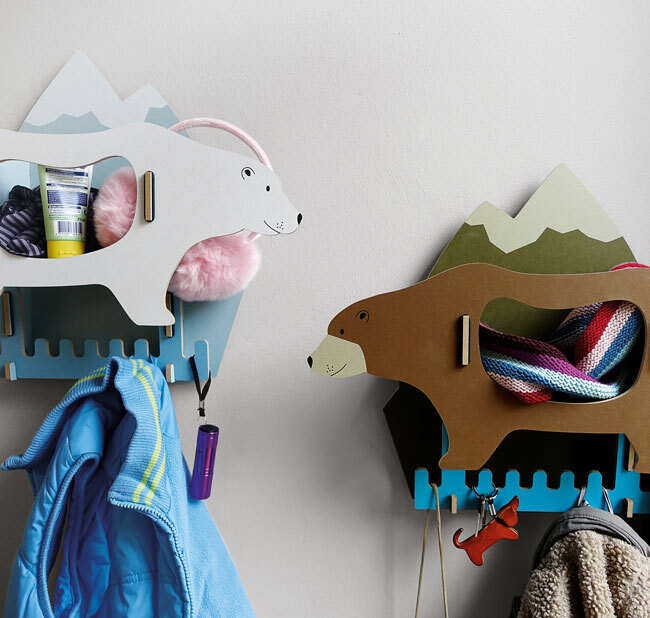 Items in children’s rooms needn’t always have a purpose: they enrich the environment, inspire play and add personality. 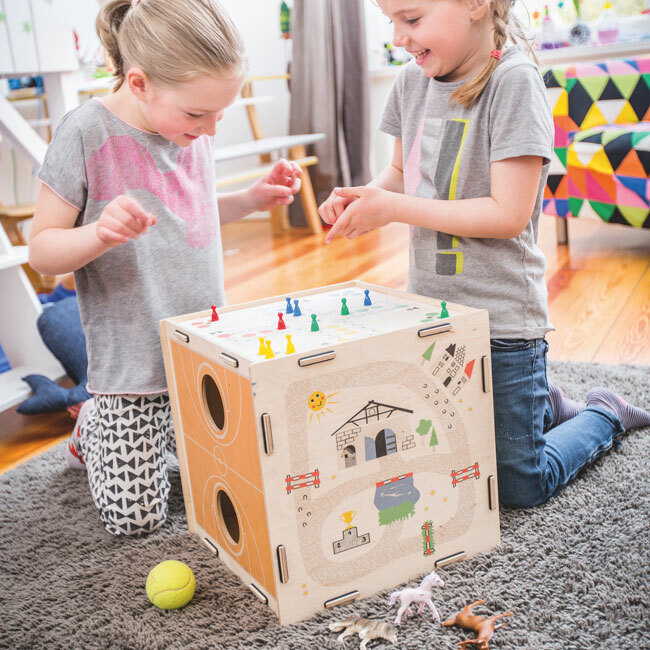 Experimenting, daydreaming, dressing up, building stuff – or simply letting loose: Lots of toy manufacturers emphasise quality design, whether for classic games or new inventions. Wooden toys are no longer just for green eco-warriors. 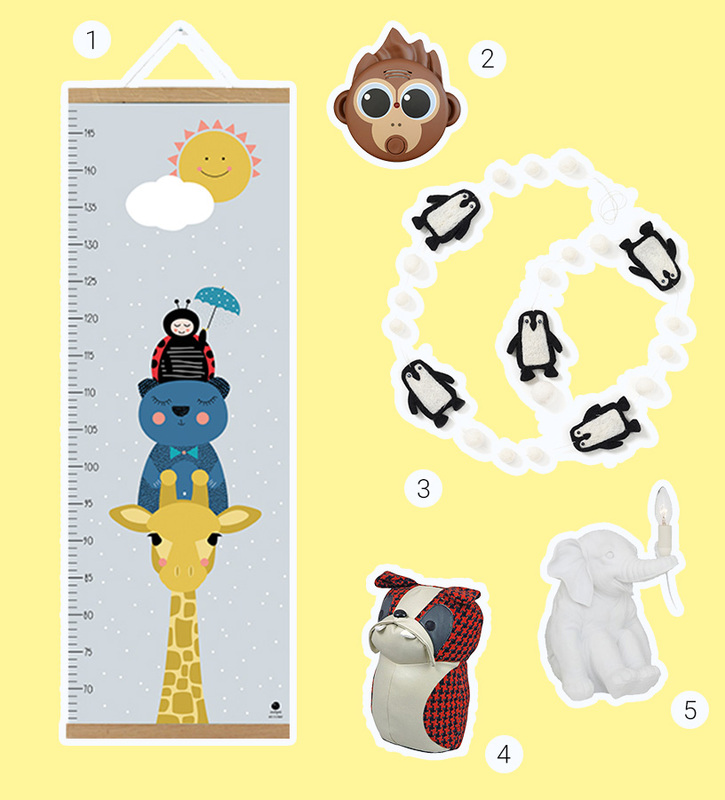 Many parents now want their children’s rooms to be free of potentially polluting plastic, and are looking out for sustainable, environmentally friendly products. One of the biggest challenges facing families is the everyday chaos that reigns in children’s rooms. On the one hand, we want to give children space to play freely just as the mood takes them. But does it always need to look like the toy box has exploded all over the floor? Clever design can bridge the divide between imagination and order. Even the smallest children can get toys out and put them away with special shelves, open baskets and mobile boxes. Children behave differently with items they especially like. Multifunctional seating and playing furniture, shelves and boxes can tame the savage children’s room. And they can look great too. Kids go to nursery, then to school. Many spend more time away from home than they do in their own four walls. So it’s even more important for their own room to help them wind down at the end of the day, perhaps with some relaxing, creative play. It’s true children don’t need to be taught creativity, but perhaps a nudge in the right direction might help. 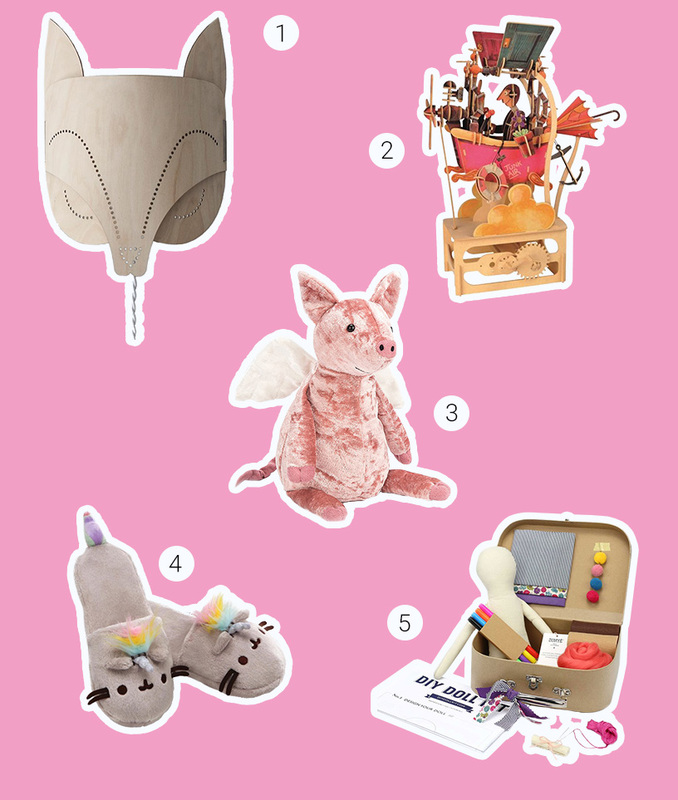 Books and cuddly toys help kids of all ages settle down in a cosy corner. 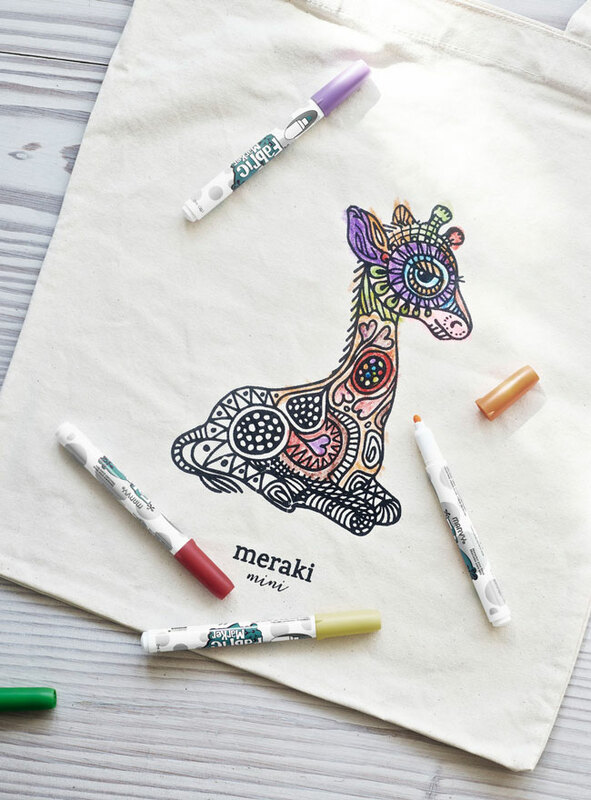 Providing bags that children can decorate themselves, or a dual-purpose box that doubles as furniture for the doll, can help stave off boredom. The WeGrow elementary school and kindergarten in New York boasts an almost revolutionary design by Danish architect Bjarke Ingels. This is a playful place, where the traditional teaching model of ‘standing in front of the class’ gives way to a modular classroom built into an interactive learning landscape, complete with treehouses and acoustic clouds in natural hues. This private establishment is owned by the WeWork co-working space provider, and open to the children of employees and members. The educational concept behind it also breaks with tradition: one full day a week is spent outdoors on a farm beyond Manhattan, whatever the weather. This place is a first, which is set to grow into a global movement with the establishment of more schools.